Aren't these gorgeous?! I just love fruit clip art. 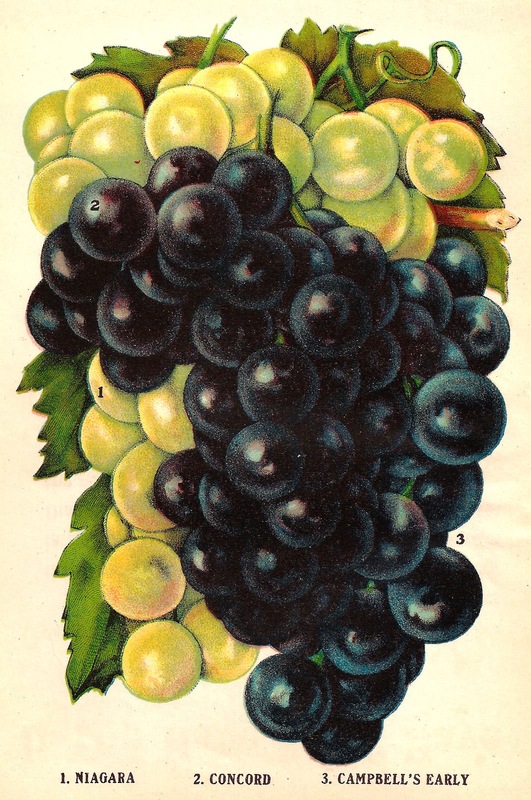 This pretty piece of grape clip art features three varieties of grapes: Niagara, Concord, and Campbell's Early. Enjoy!